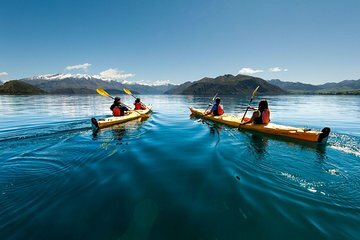 Kayaking on serene Lake Wanaka, with its clear waters and beautiful coastline, is a great introduction to kayaking. Beginners and those with more experience will enjoy a calm half-day tour approximately 5.5 miles (9 kms) around the lake. Take in the views while experiencing the unspoiled nature that New Zealand is famous more, but without breaking too much of a sweat.